Composition and biological active properties of propolis is depends many different parameters, such as floral sources, collecting season, and beekeeper’s performance. In this study, phenolic composition and some apiterapeutic potentials of chestnut originated propolis samples were investigated. The raw propolis samples were obtained from Balıkesir region of Turkey. Antioxidant, anti-microbial, anti-inflammatory and anti-tumoral properties of the ethanolic samples were investigated. A wide screening antimicrobial tests againts some pathogenic microorganism of Escherichia coli, Yersinia pseudo tuberculosis, Helicobacter pylori, Klebsiella pneumonias subp. pneumonia, Pseudomonas aeruginosa, Staphylococcus aureus, Enterococcus faecalis, Streptococcus mutants, Streptococcus agalactiae, Bacillus cereus, Lactobacillus acidophilus, Lactobacillus casei, Mycobacterium smegmatis, Candida albicans, Candida tropicalis and Saccharomyces cerevisiae were tested. Cytotoxic and anti-proliferative activities were measured in the four transformed human cell lines of cervical carcinoma (HeLa), lung adenocarcinoma (A-549), colon adenocarcinoma (HT-29) and endometrial adenocarcinoma (CRL-2923) and normal cell line of retina pigment (ARPE) were investigated. Anti-inflammatory properties were measured by their anti-human testicular hyaluronidase and urease of Helicobacter pylori. The results were showed that chestnut originated propolis samples were apitherapeutic potentials. ISNAD KOLAYLI, Sevgi , EKSI, Saliha , YAZICI, Zihni , YILDIZ, Oktay , SAHIN, Hüseyin , CAN, Zehra , KARAOGLU, Sengül . "Some Apitherapeutic Properties of Chestnut Propolis". 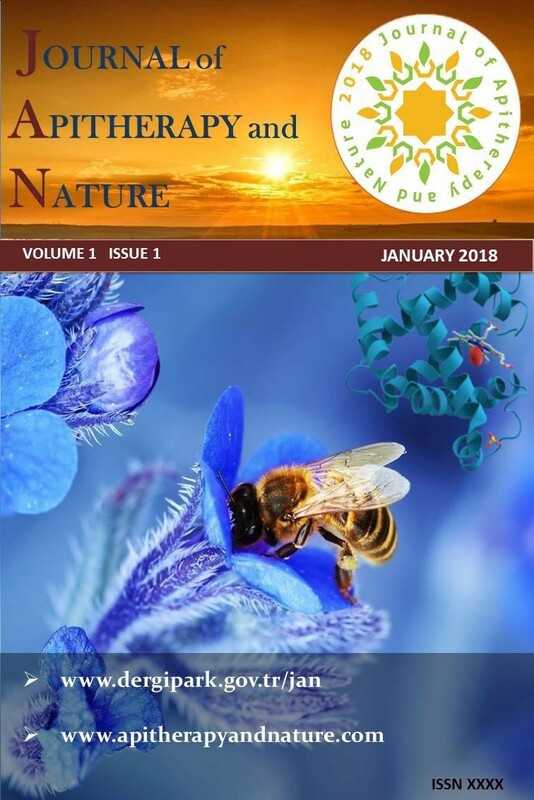 Journal of Apitherapy and Nature 1 / 3 (December 2018): 14-14.